The original school room catering for 50 children. Now a private dwelling called Mulebiss. 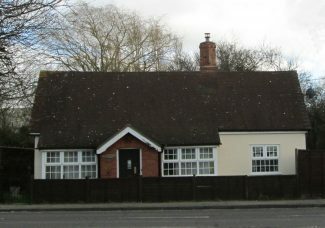 The original School House, later the home of the local District Nurse, now a private dwelling called The Old School House. Mrs Margaret Ross was a teacher at the Dunton School during the late 1970s and she still does volunteer work at Mill House School, Laindon teaching reading and hand writing. 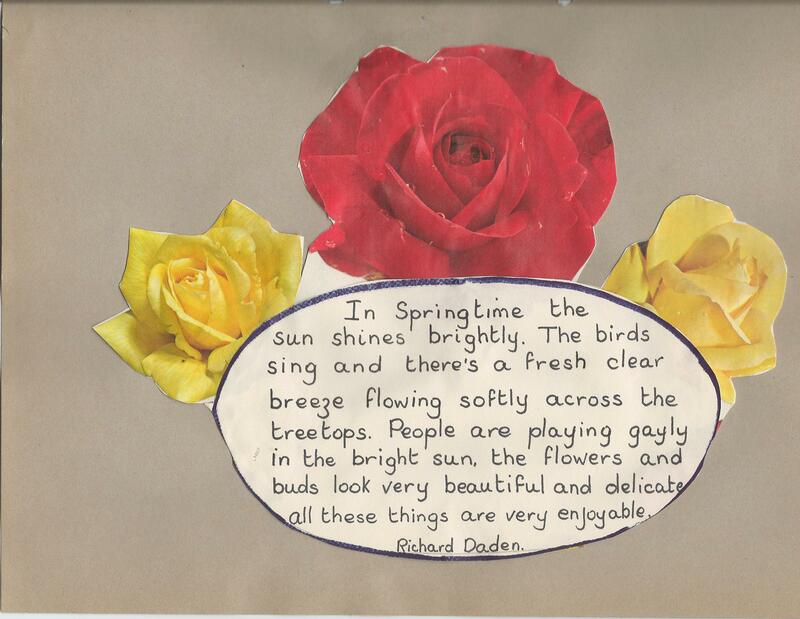 While having a clear out recently she came across three scrap books put together by the children she taught at the Dunton School. She has kindly given them to me, ‘The History of Dunton’, ‘Some of the changes and events which have happened during our life time’ and ‘Our book of Poems’. I have no doubt that I will be able to use some of the information in the future; in the meantime it has prompted me to look into the schools of Dunton. The first known school was a Dame’s school which opened in 1836. Only seven years later in 1843 a National School was built on a site granted by King’s College, Cambridge as Lord of the Manor and with the consent of I. B. Freeman, the owner of Dunton Waylett and Sumpners Farm. A rent of 1 shilling a year was paid to King’s College and the College gave £2 a year towards its upkeep. The school opened on the 28th October of that year and the Rev Charles I Abraham, fellow of Kings College, preached a sermon on that day in the church. It had two rooms to accommodate some 50 children. It was situated in the Lower Dunton Road. Ann Ridall was the mistress in 1848. It appeared to be a very busy little school for such a small parish. The 1871 census gave it as having 35 pupils, which is amazing considering the census gives the total population at the time of only being 148. Although when built the population was approaching 200. In 1890 Mrs Louisa King was mistress with an average attendance of 23. The scrapbook goes on to tell us that it was sold by the Essex County Council and became a private home. Jenny Burridge tells us that her Nan and Granddad live in one room and a Mr and Mrs Todd and then a Mr and Mrs Rand lived in the other. 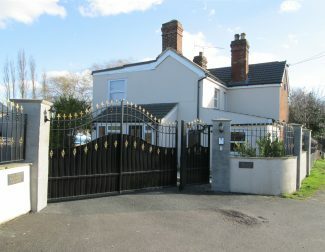 It had also been the home of one the headmasters and a Mrs Lawrence. The book also tells us that during the Second World War the Home Guard occupied the building. The school closed and sold sometime in 1929, becoming a private dwelling. A new Council School was built a few hundred yards along the Lower Dunton Road towards the Arterial Road. It was partly built to accommodate the growing number of children from the then new Plotland estate. The 1931 census gives the population of Dunton as 664. The old school became known as the old school house. With the closure of the Plotland era brought on by the Basildon Corporation and the development of Basildon new town this school also closed in July 1977. It had only 12 children. From September 1977 until 1980 it was used as Secondary Tutorial Unit for just eight to 12 pupils unable to cope with normal school life. The school then lay derelict until the current owners purchased it 14 years ago; it is now a private residence known as ‘Dunton Grange’. Although it is not a listed building, Basildon Council insisted that the exterior is not altered so to keep it in keeping with the village. If you ever driving along Lower Dunton Road make sure you have a close look, the owners are keeping the building and the garden in beautiful condition. 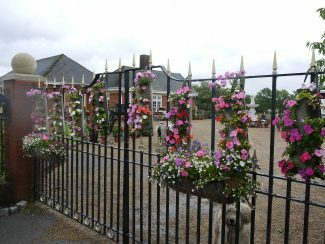 Editor: Following a query about the ‘Old School House’ I have been asked to add the following two photographs to this article. Does anyone on this site have any details about Dunton Hall (now Friern Manor)? My Great Aunt and Uncle, Horace and Annie Anderson, lived there, certainly into the 1950s. I have a photograph of my Grandfather visiting there. It’s taken on the front steps with Great Uncle Horace and his son, also Horace. The steps and doorway look just the same today! I am the current owner of the original church school now named Mulebbis and my family purchased it many years ago from Mrs Lawrence who lived there with her son Malcolm and daughter Gillian. My father fully restored the old school himself in his spare time into the lovely character dwelling it has become. I grew up in the school master’s house next door (The Old School House) which was built in early 1900 with my parents Pat and Dave Burridge and my sister Denise. My grandparents (Jack and Edith Mallett) purchased The Old School House and turned it into a farm and butchers shop then built a second home, Hereford House for them to reside in with their youngest daughter Jacqueline in the 1970’s. 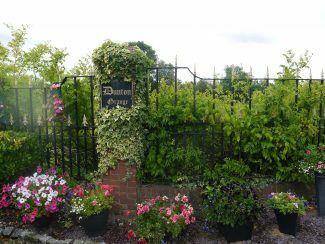 Jacqueline, Denise and myself all attended Dunton School (now Dunton Grange) before it was closed. My family haved lived in Dunton for over 60 years. I attended this lovely old school 1958, to 1963. I loved every minute. My friend Melcombe Lawrence lived in the Old School House, I lived in the Old Farm Cottages in Church Road. I used to knock for Melcombe on my way to school. Mrs. Lawrence, always served me breakfast of cereal and sterilised milk, she was a very kind lady with a lovely smile. Does anyone remember the big freeze when the school was closed and we built igloos? My mother Betty also attended this school. I now live in Gloucester. I thank contributors for great memories. I went to Dunton primary school in 1962-63, I remember the teacher a Mr Massey and also a school friend John Latarche. Does anyone here have any information on John Latarche? I also remember a girl Elizabeth who lived next to the school, she and her family had just returned back to the UK from Kenya..any information? Hello Donald. My father was Charles Latarche. My parents separated while I was still at junior school. I didn’t know he worked at Spongs but it’s very possible. Malcolm Latarche, quite an uncommon surname which stirred a memory for me. At some point in my life I worked at Spongs in Basildon and one of my fellow workmates, who was quite a bit older than me, happened to have the same surname as yourself. He worked in the “tinning” department and was named Charlie. Would he have been a relative of yours ? I lived in Victoria Road, Laindon and went to Dunton County Primary School from 1960 – 1966. Headmistress was Mrs Mason, Infant teacher Mrs Watts, then Mrs Griffiths and Mr John Baguley in the other two classes. Too few children to have a separate class for each year so two years in each class. Didn’t think about it at the time but probably difficult for the teachers to balance classes for both abilities. Bert Walker was the caretaker and two or three dinner ladies whose names I can’t recall completed the staff. I was the Head Boy in my final year and Shirley Watts the Head Girl. Together with Gillian Lawrence who lived in the old school house we passed the 11+ and all attended Fryerns Grammar and Technical school in Basildon. I went to Dunton Primary School from 1953 to 1957. The teachers were Mrs Mason and Mr Moffet. I lived in Victory Avenue and I used to walk to school passed Gray’s Orchard and the old school house. The secondary tutorial unit ran well into the 80’s/90’s as my mother, Pat Bysh worked there, and I would go there to meet her from my school bus (coming back from Brentwood County High) which I attended from 1988-1993. Will have to check exact dates. Can’t remember the date but I was there when the cook-house burnt down and we had our hot dinners delivered by van. Very good memerys, still can’t spell! I went to Dunton School from 1975 to 1977 and was one of the last 12 pupils. I remember having to catch the bus which took the senior school children to Laindon School from out side my house and it dropped me off at Dunton school where the caretaker would see me cross the busy road. I then went to the shop next to the school to spend my 5p on pick and mix sweets. I remember Miss Olive was my headmistress. What a surprise to see such interesting reminiscences about The Old School House. I am the daughter of Mary Carpenter (nee Fairbairn) and I was born in the house having been delivered by my grandmother Gladys. My family migrated to Australia in 1954 and lived in various cities. Mum and I returned during a trip in 1991 and the owner at the time was kind enough to show us through the house. I remember Nurse Fairbairn as she delivered me and was a lovely friendly person I remember she had some baby goslings in her back garden,which we passed on our way to school from Dunton Drive and I pestered my mother until she bought me two. As mother had been sure she was having a boy, no name for a girl was thought of, so she asked the nurse and she said her daughter was Mary and so I got a name,Then when I grew up and went to Laindon High Road school, who was one of my teachers!!!!!! Mary Fairbairn, I believe her first teaching job. Mary. Re District Nurse Gladys Fairbairn. That’s a lovely story about you being delivered by her and named after her daughter. Gladys’ children Mary and Ian were from her first marriage to George Fairbairn (I believe he died in 1930). She re-married in 1936 to Colin Pond. Her maiden name had been ‘Wolverson’. Best wishes. Upon reading Sue Heazel’s comment regarding her dad’s cousin, Colin Pond living in Old School, having married district nurse Gladys Fairbairn, I decided to do some research. This was particularly interesting to me as my mother had attended Dunton School from 1923 when it was a small two roomed building catering for 50 children. She left in 1928 aged 14. 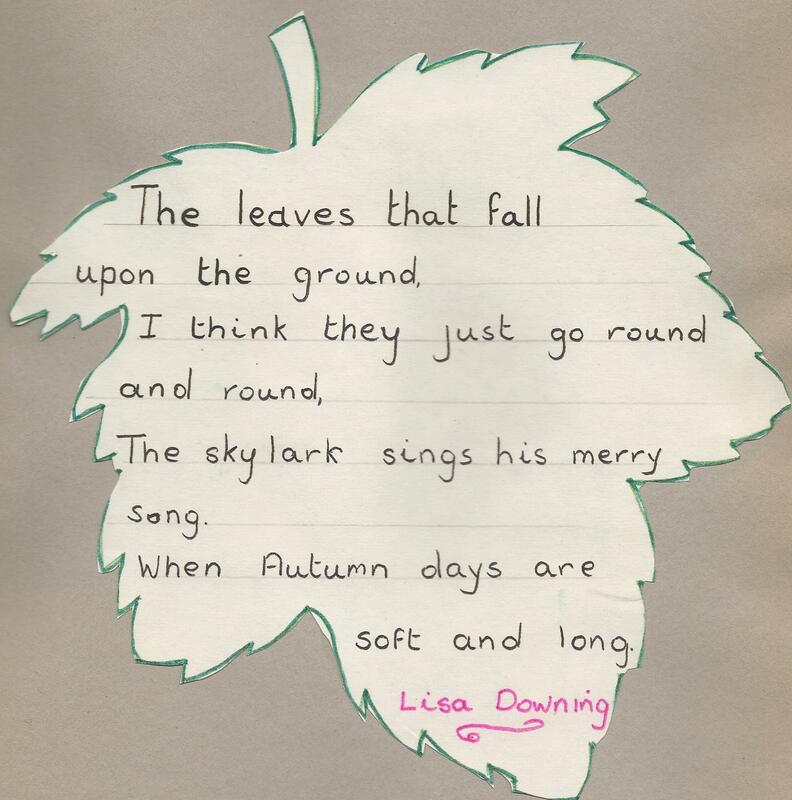 In 1980 we took her on a trip along Lower Dunton Road so she could see the school once again and reminisce. She pointed out the little building and recalled some stories about the years she had spent there. School House is shown on the 1918 Electoral Register naming Elizabeth and William Lockhart in residence. The 1929 ER names Florence and Alfred Fells. One of those ladies must surely have been the ‘Governess’ who my mother had held in very high esteem throughout her school days. The 1949 Electoral Register names Gladys and Colin Pond still in residence plus Mary and Ian Fairbairn. The 1949 survey map shows the exact position of Old School House and written alongside is the word ‘District Nurse’. Both buildings are now private dwellings called The Old School House and Mulebiss. I have provided up-to-date photographs of the two buildings and with Ken Porter’s permission, I have asked the editor to add them to the other photographs shown in the above article. I think we left Fourth Avenue about 1957 but I never went to Laindon High Road School so not 100% sure. We lived at Charlesville which I believe was opposite Allan Young’s house. I have recently purchased a marriage certificate of a relative of mine. Colin Pond (my dad’s cousin) married Gladys Fairbairn a district nurse the certificae states Gladys was a district nurse and they both lived at Old School Dunton nr Brentwood. The date was 1936. Do you know if Old School would have been the above building? Thanks for any information. 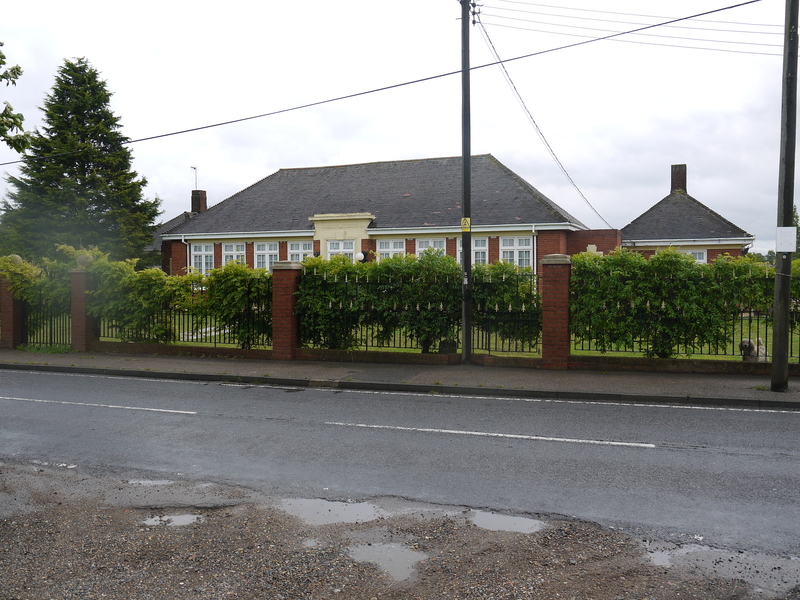 The building in the photographs was Dunton school the old school house is further down Lower Dunton Road towards the railway on the same side. There is a field, a large house with buildings and then a small cottage which was originally the school and school house. I went to Dunton County Primary in the 1960s. The Headmistress was Mrs Mason (real name Masonovitch), primary teacher Mrs Watts, junior teachers included Miss Rose, Mr Baguley? and finally Mr Crimp. Only three classrooms one of which still had the screen to divide it. Only just enough boys in the junior classes to form a football team. First toilets were outside, then moved inside later and the old air raid shelters were still in place. Great days.